VOTE: New Web Site Graphics! 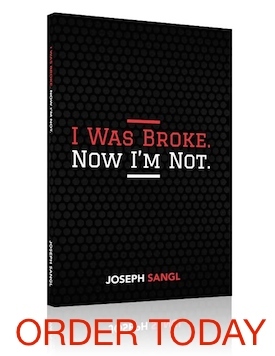 I know that a vast majority of JosephSangl.com readers use the subscription option to receive daily posts and that means that there is a good chance you have not seen the new graphics that have been appearing on the web site. You can check out the main web site HERE and the I Was Broke. Now I'm Not. web site HERE. Once you have viewed the main site and the book web site, please share your thoughts by voting below.